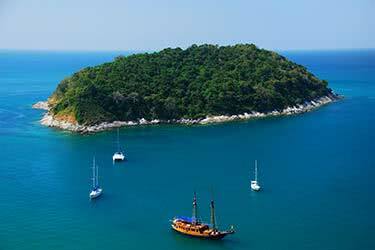 Derived from the Malay word bukit, or hill, Phuket was long known to European traders as Junk Ceylon, and a rich source of valuable tin. 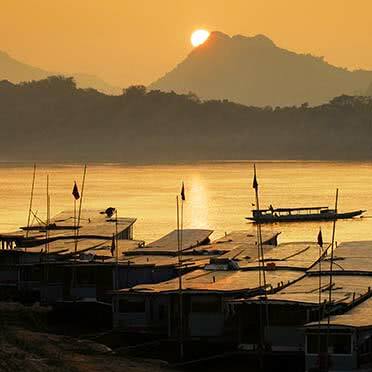 After an attack by the rival Burmese navy in 1785, which was repulsed by forces commanded by a local widow and her sister, Phuket rose to prominence as a regional administrative center, charged with running the southern provinces of Thailand. 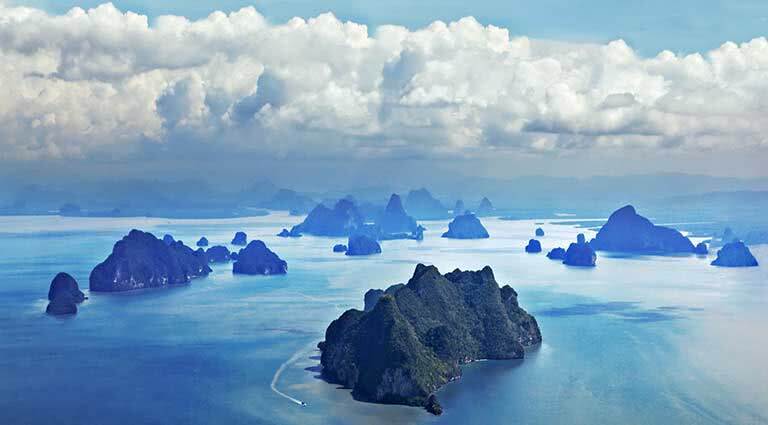 Today, Phuket is the largest island in Thailand, and sports fine beaches, constant sunshine, and an enviable proximity to a multitude of attractions and dive sites - among them the Similan Islands, Koh Phi Phi, and the limestone peaks of Phang Nga Bay. 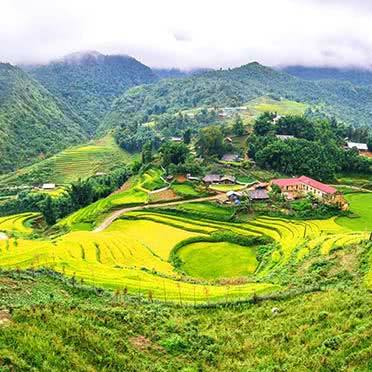 While Phuket was devastated by the Indian Ocean tsunami of December 2004, it has since repaired the damage, and, thanks to its tourism revenue, become the wealthiest province in the country. 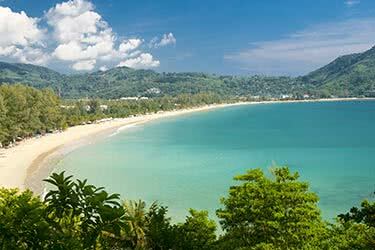 Have a lovely picnic lunch on a secluded white sand beach on Koh Kai Nok, and relax as you watch the waves roll in. 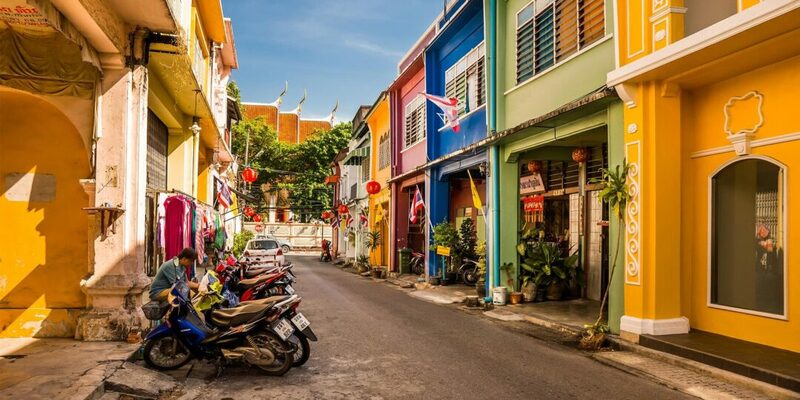 Stroll through the Old Town of Phuket along Thalang Road, where you’ll discover beautiful buildings built in a Sino-Portuguese style, including the Standard Chartered Bank, Phra Pitak Chinpracha Mansion and Thai Hua Museum. As the style suggests, these buildings were influenced by Chinese architecture when they were built over 100 years ago and were later infused with Portuguese elements. 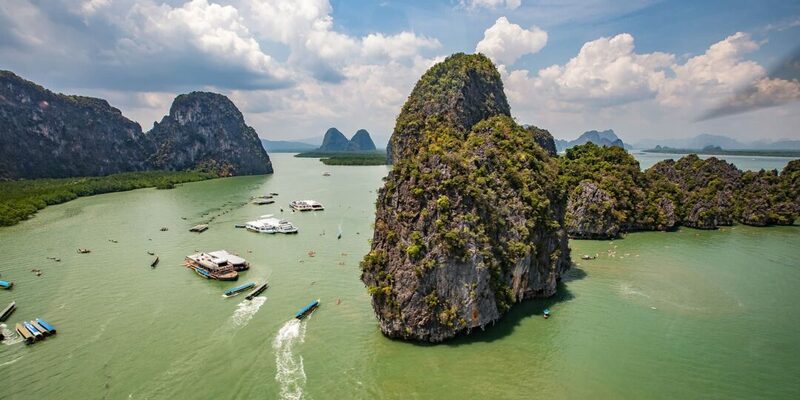 Spend a day cruising through Phang Nga Bay, where hundreds of limestone karst peaks thrust up out of the sea in a variety of formations, towering over the turquoise water. Cruise to the Phi Phi Islands, where "The Beach", starring Leonardo DiCaprio, was filmed, or to James Bond Island, which was a location for the action epic, "The Man With the Golden Gun." 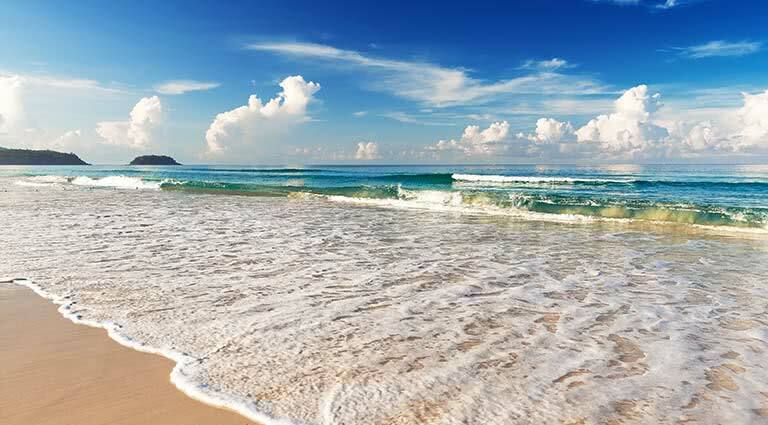 Stop at snorkel and dive sites and observe local marine life in crystal-clear waters. 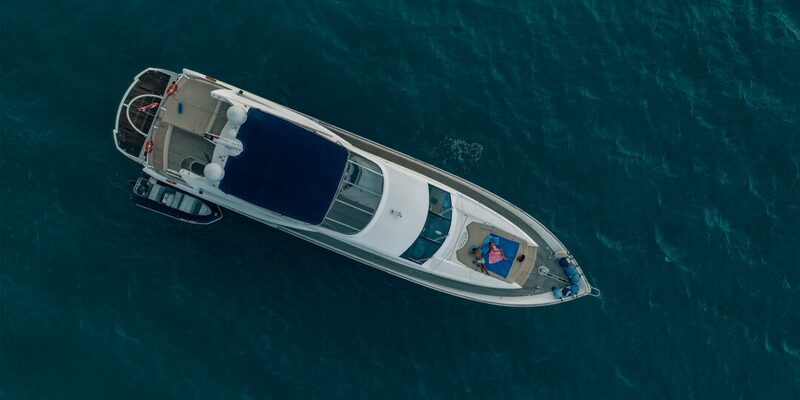 Take a speed boat to the Similan Islands, considered the top scuba-diving and snorkeling spot in Thailand and world renowned for their coral reefs and diversity of tropical fish. The eleven islands, which comprise a national park, are home to rare species of flora and fauna, such as the Nicobar pigeon, flying lemur and bottlenose dolphin. 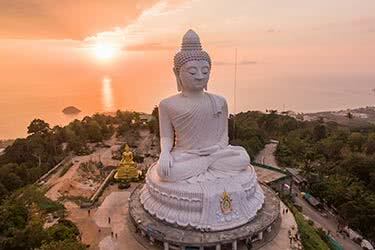 At sunset, visit the big Buddha on a hill. 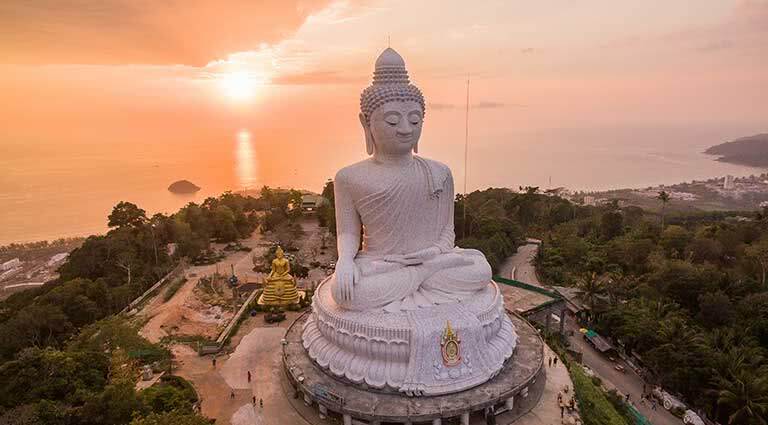 At 135 feet high, this large white landmark sits on top of Nakkerd Hills, one of the highest points in Phuket where one can see an almost 360-degree view of the island. Made of white Burmese marble, the statue is known as Phra Puttamingmongkol Akenakkiri, and it is one of Phuket’s most notable sites. Visit local Buddhist temples, such as Wat Chalong, Wat Khao Rang and Wat Phra Thong. Wat Chalong is famous among Thais for its reputed healing powers. Khao Rang houses a large golden seated Buddha statue, while Phra Thong is known for its half-buried golden Buddha, Poh Phra Thong. 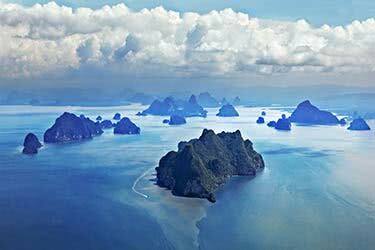 Thailand has it all – from towering mountains, vibrant corals, ancient ruins and powdery white-sand beaches. 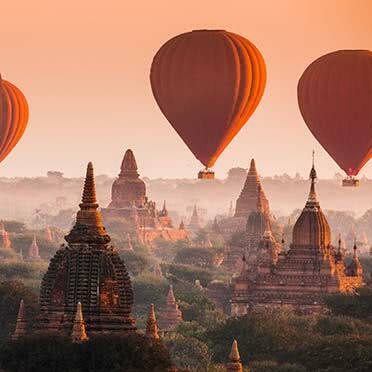 Enjoy a 10-day luxurious adventure through the diverse landscape of what’s known as the Land of Smiles. 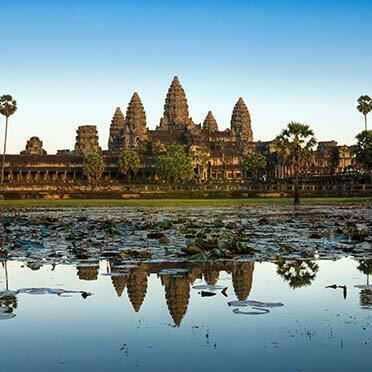 The hospitality along with the mouthwatering cuisine make this country a traveler’s favorite. 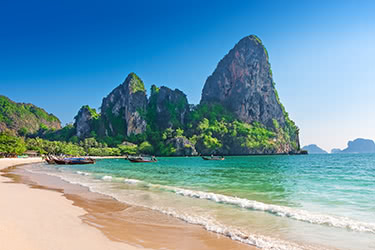 Known for having some of the world’s most breathtaking beaches – the South of Thailand is home to endless white-sand beaches, vibrant corals and turquoise waters. 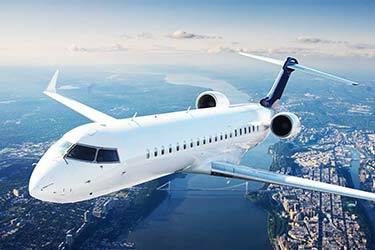 Stay in the most luxurious of hotels as you beach hop and even enjoy a private aerial tour of some of the world’s least explored tropical islands. Amanpuri, which means “peaceful place,” is a magnificent resort created by the architect who designed the Winter Palace of the former Shah of Iran. The resort has 40 secluded pavilions, each with a private outdoor terrace overlooking the Andaman Sea, and come with a personal cook and butler. Dining options include The Restaurant, which serves Italian cuisine, and The Terrace, which offers Thai and European specialties. Amanpuri has a Beach Club, with windsurfing and hobie-cats available, a 20-meter lap pool and a starting point for diving, snorkeling or fishing. 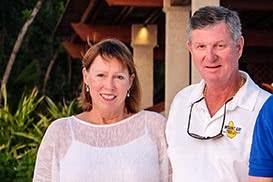 Other facilities include a business center, floodlit tennis courts, and a fitness center with state-of-the-art weight training and cardiovascular machines and floor-to-ceiling windows overlooking the sea. Wifi is available in all rooms and public areas. 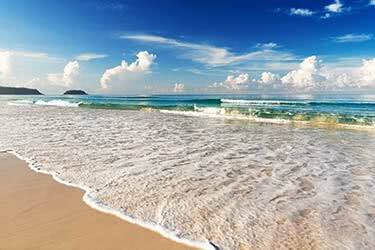 The resort is 25 minutes from the airport in Phuket (HKT). Looking out over the sparkling Andaman Sea, this superb five-star resort is one of the most spectacular luxury retreats Phuket has to offer. Set within a peaceful bay on the island’s Western coast, an idyllic shoreline is greeted by crystal-clear waters directly in front of the resort, creating a secluded island sanctuary. 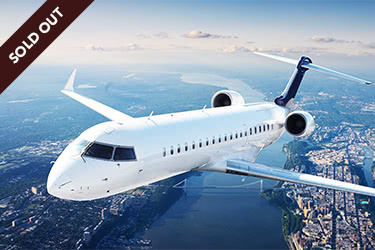 It lies conveniently close to Phuket International Airport but far enough to transport guests to their own exotic haven. Anantara’s first-class hospitality is coupled with a collection of 30 opulent rooms and luxury suites as well as 47 indulgent pool villas. Guests can enjoy a balance of the serenity from the private stretch of beach and shoreline pool with the diversity of facilities within the resort, including exciting water activities, fitness center and spa. Days in Thai paradise are accompanied by some of the finest dining options in Phuket, with seductive settings and awe-inspiring island views to match. Professional and talented chefs create fresh and beautifully-presented dishes for exclusive dining experiences, where guests can sample the iconic flavors of Thailand. Phuket is an island associated with sun, sea and sand, and there’s no better way to experience it by staying right on the beach in your own private villa. Every single one at Anantara Phuket comes with its own private pool, and total floor space starts at giant 1,900 square feet (that’s about four times more than your stand hotel room). When you’re not soaking in the terrazzo bathtub, sipping a cocktail on the private decking, doing laps in your own private pool, or making use of the long list of entertainment and gadgets in the room, Anantara Phuket has plenty to do elsewhere – that’s if you can drag yourself away from the villa. 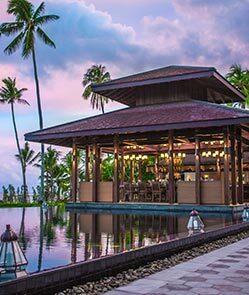 There are five dining options (including a rather beautiful ‘tree house’ venue), a poolside bar, cooking school and a luxurious spa to wind back after a long day of being busy… or doing nothing at all. 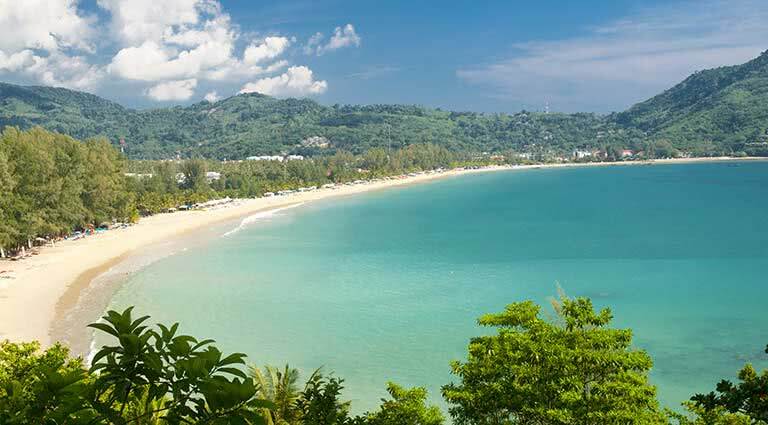 Mai Khao beach, the longest in Phuket, is just steps from the villa and provides soft sand and warm tropical waters perfect for swimming. The beachside Andara resort rests atop a lush hillside on the west coast of Phuket, offering sweeping sea views from its rooms, restaurants and an infinity pool. 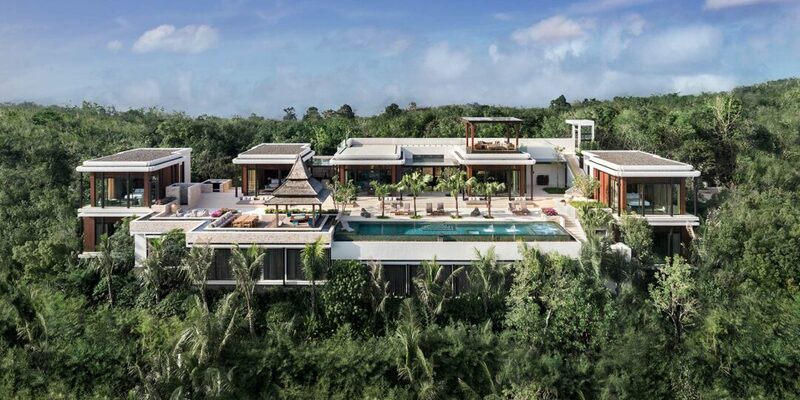 Andara’s accommodations include a variety of three- to six-bedroom Pool Villas and a mix of one- to four-bedroom Pool Suites, Terrace Suites and Pool Suite Penthouses. The Silk Restaurant & Bar serves contemporary Thai cuisine focusing on locally sourced ingredients, as well as Western comfort foods and a children’s menu. Andara’s Spa has six individual treatment rooms, two couples’ rooms with jacuzzi baths, and a private steam room, with a diverse menu of therapies including Thai, Ayurvedic, Swiss, Javanese and Swedish massage, as well as a variety of scrubs, detox and body treatments. The resort’s state-of-the-art fitness center has the latest free weights and Precor machines and cardio equipment, and both group and individual yoga and aerobic classes are available as well. 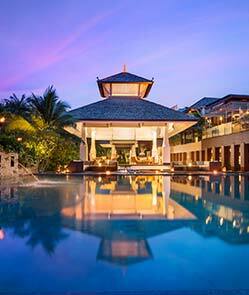 Andara is a 30-minute drive from Phuket International Airport. 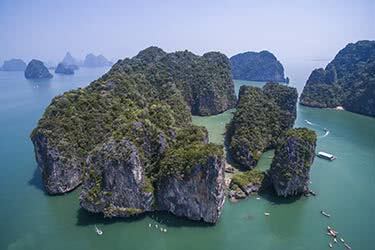 Located along the beach of Ko Yao Noi Island and looking out across the stunning Phang Nga Bay with its dramatic sea-cliffs, beautiful lagoons, and pristine beaches, the Ani Thailand estate is a haven for group excursions. The resort’s ten connected suites can house up to 20, and while there is no shortage of spaces for gathering, there is an abundance of privacy available as well. Designed by Naga Concept, the spectacular estate is inspired by the temples of Northern Thailand. It is serene yet invigorating and soothing yet aspirational. Spacious bedrooms merge Thai and contemporary aesthetics while warm wood paneling creates a homey feeling. Ceilings are tall and bathrooms are indulgent. Some rooms are fitted with oversized bathtubs and others are home to private pools. 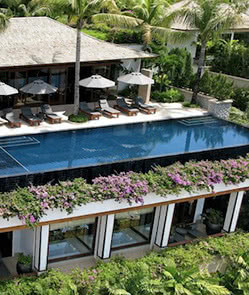 The resort also has its own massive infinity pool, and guests can enjoy gourmet meals in the dining hall. A private chef oversees all meals, carefully curating dishes to make sure every bite is to the guests’ liking. Scuba diving and kayaking trips through the bay are imminent possibilities, and watching the sun set after a spa session is a part of life at the estate. 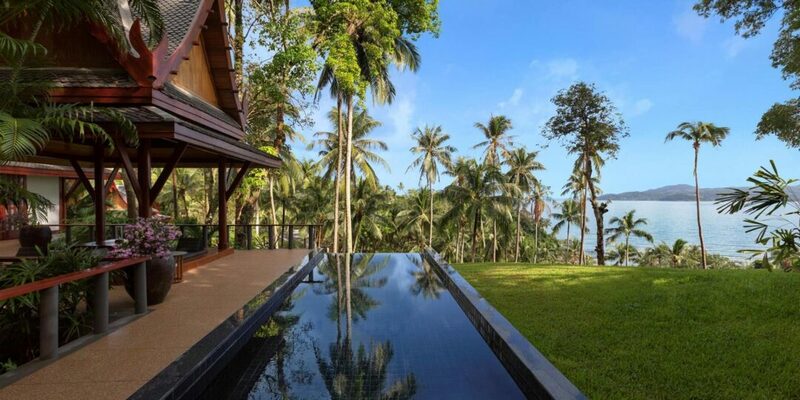 For those looking for a place to hold a family reunion, business retreat, or just to spend time with their friends abroad, the Ani Villas Phuket is an ideal choice. Our co-founder & CEO Catherine Heald enjoyed hugging baby tigers, and taking a helicopter flight over stunning Pha Ngan bay. Phuket is not short of luxury beach resorts, but the cliff-side charm of the Anantara Layan Residences beings something special, especially for small groups of travelers looking for a serene celebration. 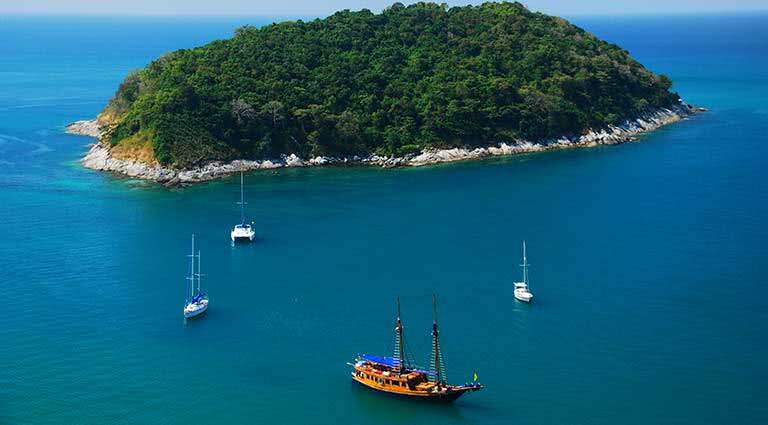 Every wonder what sort of yacht you get when you visit Phuket's plush Anantara Layan? Well, step aboard, sip some champagne, and stretch out of the sun deck. 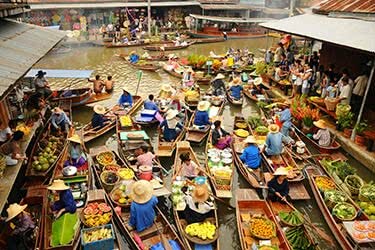 The resorts, beaches, and nightlife are all world famous, but there's a cultural side to Phuket, one that can be found in the sleepy streets of Phuket Town. 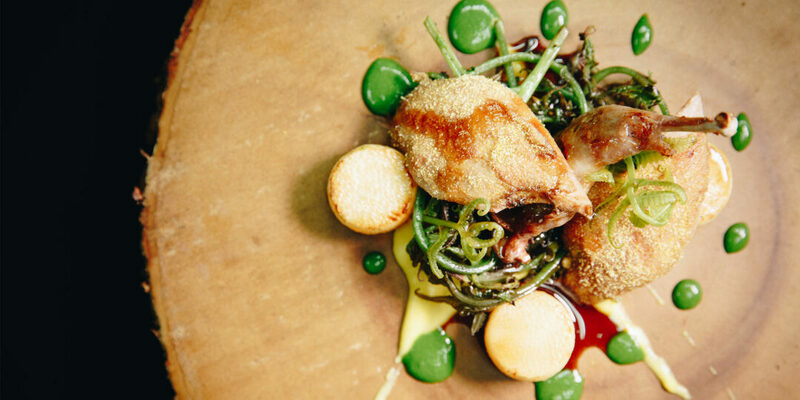 Thailand picks up its first Michelin star outside of Bangkok and the surrounding region with PRU in Phuket, an eatery that takes farm to table very seriously indeed. 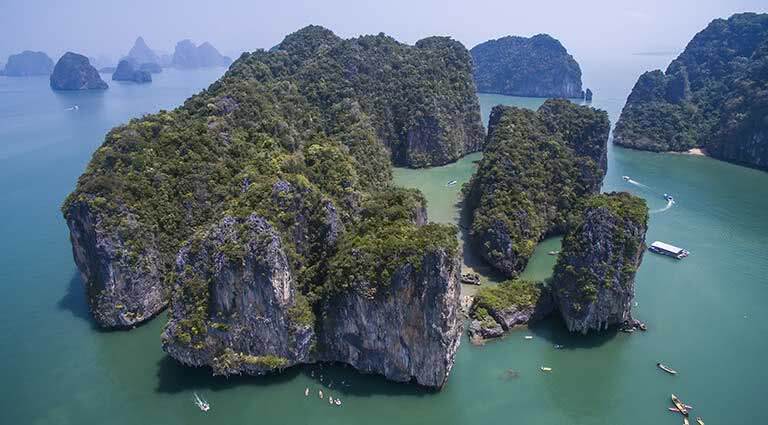 It might be crowded by land and by sea, but the Phang Nga chopper will show you a popular area of South Thailand like you've never seen it before, from James Bond island to secluded beaches. 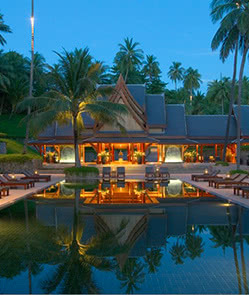 After 30 years, the first Aman, Amanpuri, had a bit of a makeover. With new spa facilities and new treats for the family, Aman's oldest property is still innovating.